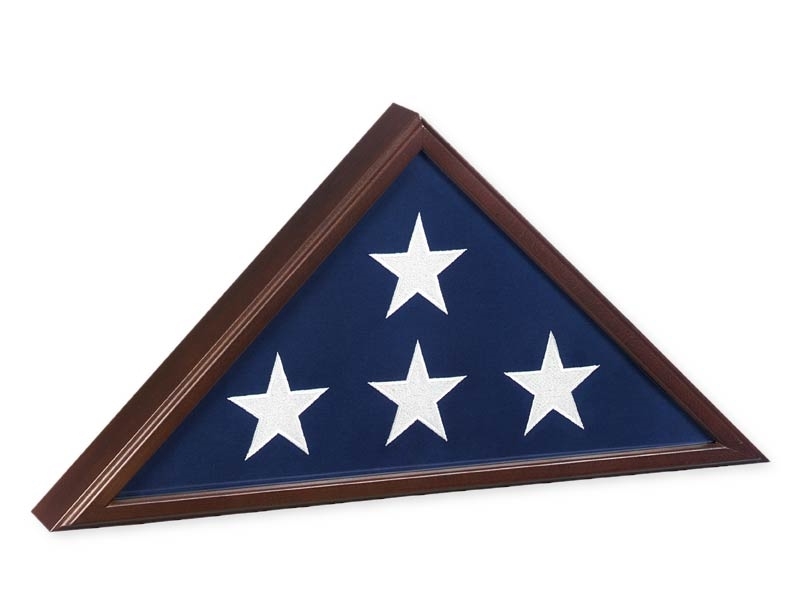 Let the world acknowledge the valor of a trooper; display his/her American burial flag with a classic flag display case. Each US-made veteran flag case is handcrafted from solid cherry. Your veteran flag display case also comes with a free brass nameplate. The Veteran is the traditional flag case made from Cherry with glass front. Removable back panel has turn-button closures.